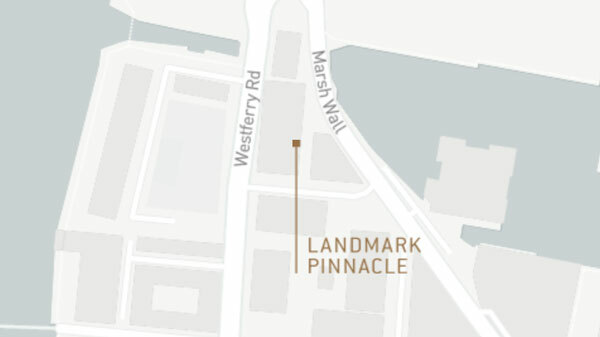 Landmark Pinnacle’s amenities make themselves known from a distance. Spanning five floor plates their distinct demarcation on the building’s glass façade provide a harmonious division between the apartment levels. The ground level and level one contain media rooms and a private cinema. Level 27 offers residents a huge and magical play area for children as well as a more formal garden lounge for adults. Level 56 offers residents a stunning, first-class gym, and a separate exercise studio, as well as Pilates area and relaxation area. It also provides a large social lounge and two elegant private dining rooms with wifi areas and a lounge and library. The top of Landmark Pinnacle, on Level 75, is crowned with two roof terraces offering huge views across London. Landmark Pinnacle is the third residential building created in collaboration between the architects Squire and Partners, and Chalegrove Properties. At 75 floors, Landmark Pinnacle will provide the newest and final focal point alongside the 45-floor Landmark East and 30-floor Landmark West, which together form a masterplan that has been established over 10 years. The three buildings are unified by their architecture and connected by waterfront pedestrian routes and landscaped areas, including a new sloping rooftop garden, Pinnacle Park, that can be walked onto directly from ground level and sits above a convenient but discreet retail pavilion. 40 Landmark Square, London E14 9AB. At 75 floors, Landmark Pinnacle is one of London’s tallest residential towers. It is uniquely located at the head of South Dock with views that extend westward down the River Thames, across the entire city, and eastward over the docks to the Thames Barrier and beyond. 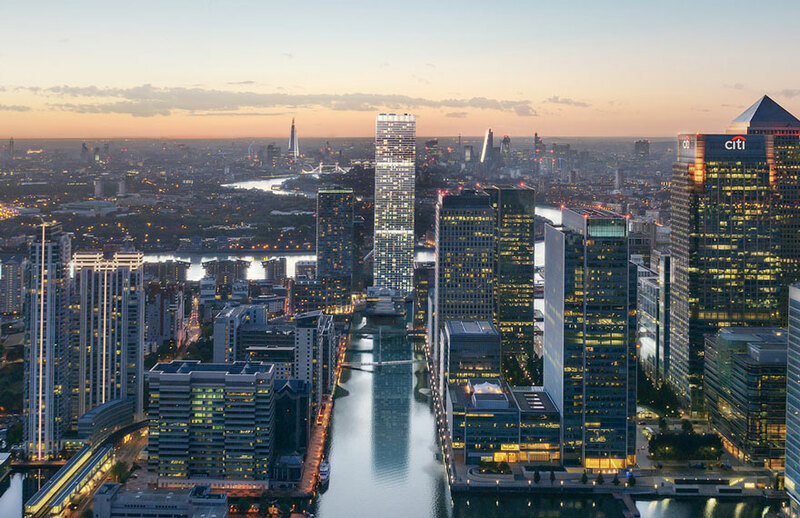 Landmark Pinnacle has a dedicated marketing suite located in Canary Wharf, on the ground floor of Landmark West, one of the Landmark family of buildings immediately adjacent to Landmark Pinnacle. Unrivalled 360-Degree River, Dock, Canary Wharf and London skyline views.